Liverpool are set to tour the United States as part of their upcoming pre-season schedule, but they won’t be taking part in the International Champions Cup. The Reds will head back to North America to prepare for the 2019/20 campaign, after opting not to continue alternating between there and Asia every other summer. 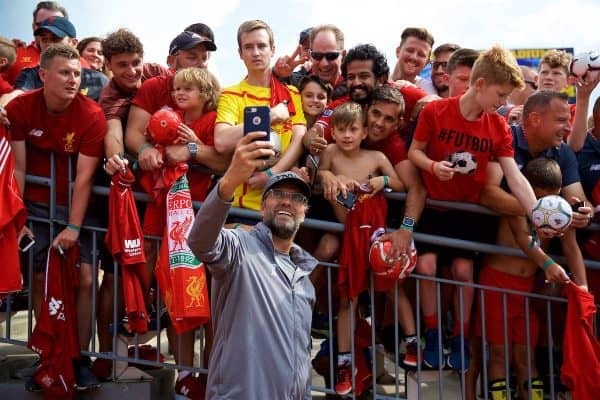 Last year saw Jurgen Klopp‘s side play in North Carolina, New Jersey and Michigan, taking on Borussia Dortmund, Man City and Man United as part of the International Champions Cup. But despite having been expected to enter the cash-cow tournament once again, Liverpool were not among the sides confirmed for its 2019 iteration. Instead, United, Arsenal and Tottenham are the three clubs representing the Premier League, with AC Milan, Benfica, Bayern Munich, Juventus, Inter Milan, Atletico Madrid, AS Roma, Chivas and Real Madrid completing the lineup. Liverpool have other plans, with the Echo‘s James Pearce reiterating on Friday evening that Boston will be one of the cities they visit. Pearce added he is “expecting” the Reds to play in New York, and that Indiana has been “mentioned” as a possible third stop in the tour, while there appear to be no plans to head to Canada. 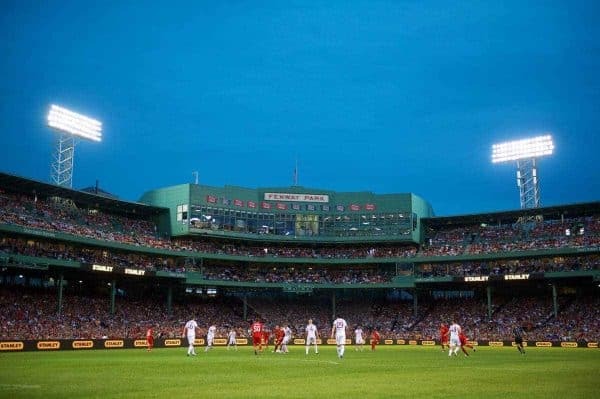 The Reds will likely take in a showcase friendly at FSG’s Fenway Park, while it could be that they return to Yankee Stadium, where they faced City in 2014, for their New York leg. The Notre Dame Stadium in South Bend (80,795), Indianapolis’ Lucas Oil Stadium (63,000), Ross-Ade Stadium in West Lafayette (62,500) and Memorial Stadium in Bloomington (52,929) are the biggest possible venues in Indiana. Chicago was previously touted as the possible third destination instead, with dates and cities expected to be announced in the coming weeks. Liverpool should also play a series of low-profile friendlies in England, and may head back to Europe for a training camp as per usual.